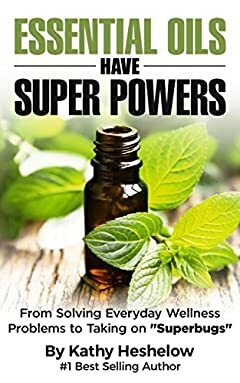 Essential Oils Have Super Powers: From Solving Everyday Wellness Problems to Taking on "Superbugs"
This is a fascinating book that covers the spectrum of essential oils - a "must have"! what is happening in the field today. Kirkus Review says: "...Heshelow (Phytoceramides: Anti-Aging at Its Best, 2014, etc.) makes the case for aromatherapy and essential oils in this examination of a misunderstood branch of alternative medicine...The author is clearly a true believer in the power of essential oils, and by the bookâ€™s end, even skeptical readers may be tempted to give them a try."